Teachers! Parents! Kids! Say hello to the perfect pack of fiction: full of books that little people love to read, but that also serve up handy learning benefits. 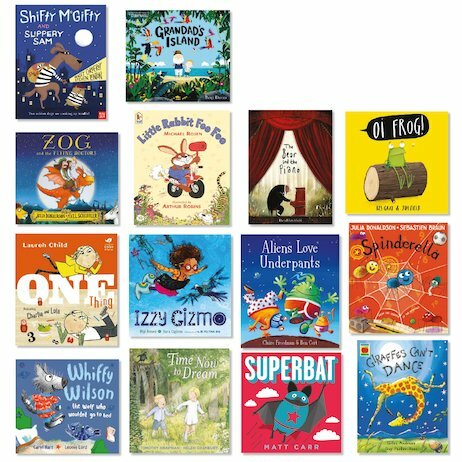 You’ll find everything you’re looking for in this wonderful pack of quality fiction, hand-picked by literacy experts. Award-winning books by today’s top authors and illustrators. Reassuring stories and funny rhymes. Books to get little people thinking, and ones that explore important topics. Quality choices. Great value. Hours of fun!